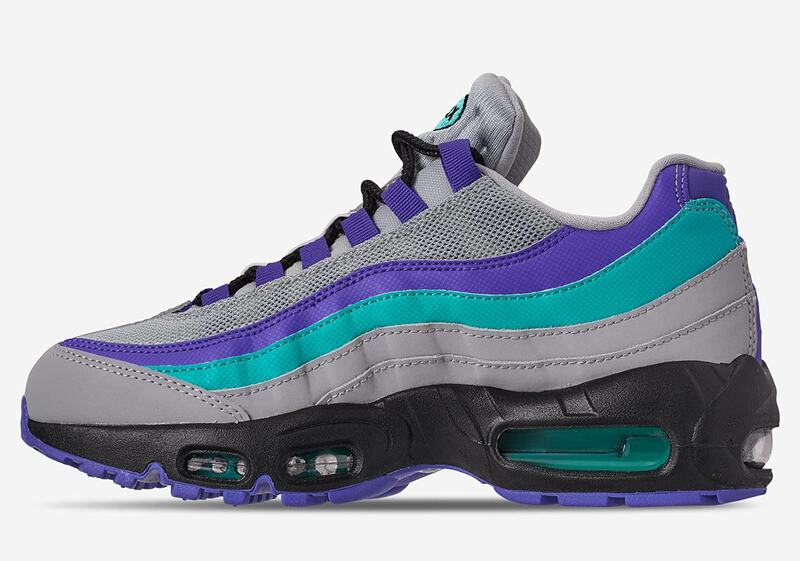 There’s no color combo that’s more quintessentially ’90s than teal and purple. 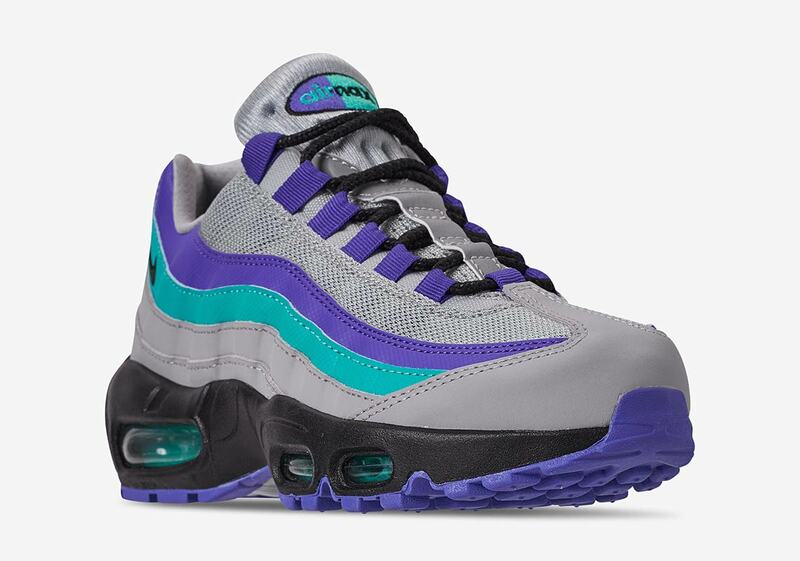 From waxy paper cups to the “Grape” Air Jordan 5s, the bright mix is forever tied in with the decade — much in the same way that Nickelodeon, Space Jam, and the Nintendo 64 are. 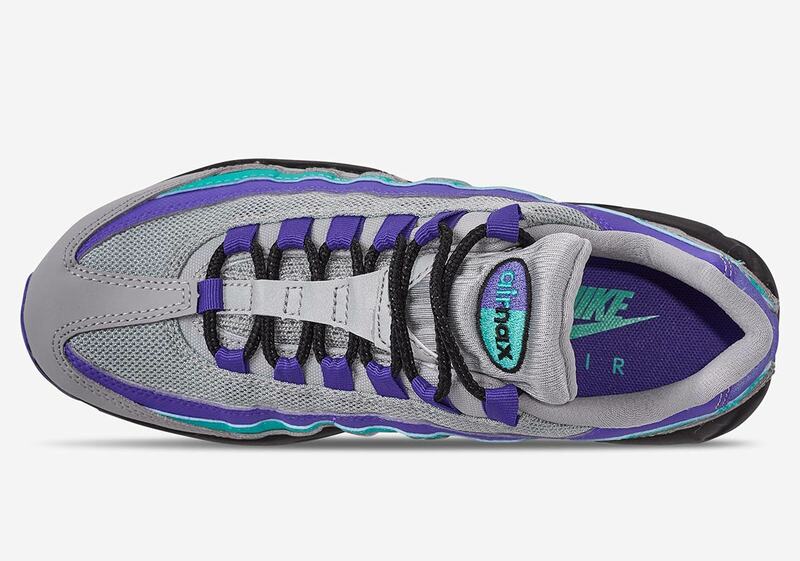 It immediately evokes a wave of nostalgia for any ’90s baby, and now it’s returning on another classic silhouette from the decade: the Sergio Lozano-designed Air Max 95. 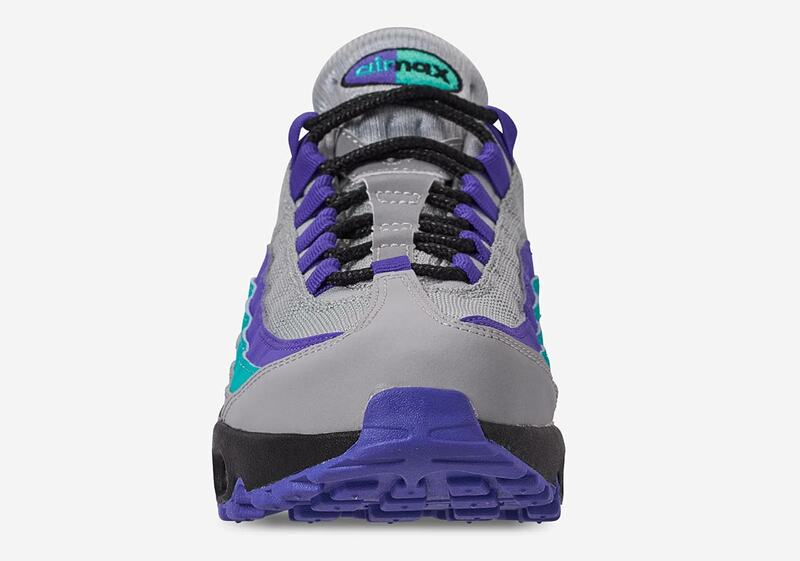 A cool grey serves as the base color, while teal and purple panels/lace loops add a plentiful helping of old-school style. 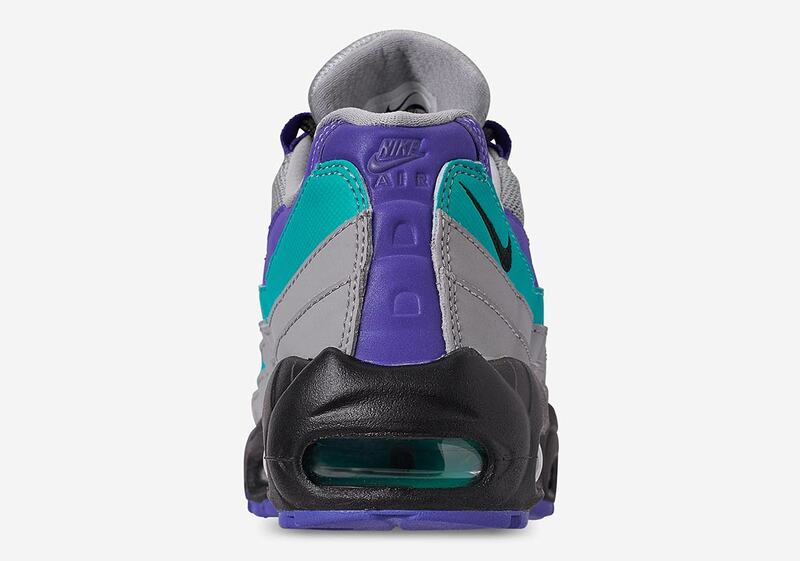 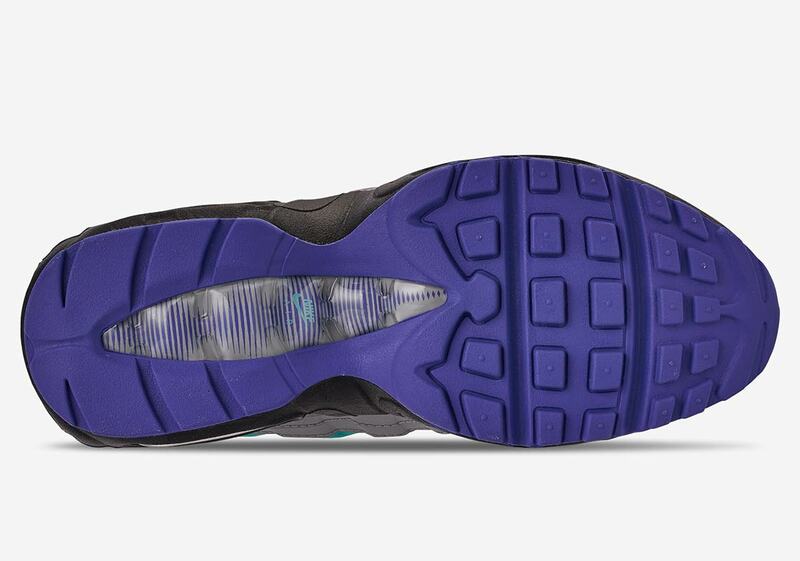 Further purple and teal colorblocking arrives on the tongue badge, while a black midsole with teal Air Max units and a purple outsole complete the whimsical look. 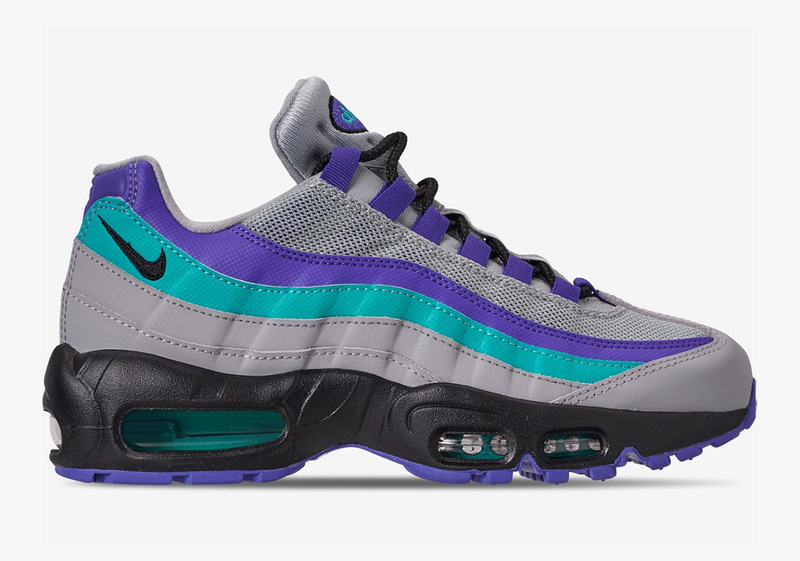 Expect these throwback-colored 95s to arrive at Swoosh Brand stockists like Finish Line October 18th with a MSRP of $170 USD.